Never forget the very same power that raised Christ on the third day resides in all believers! 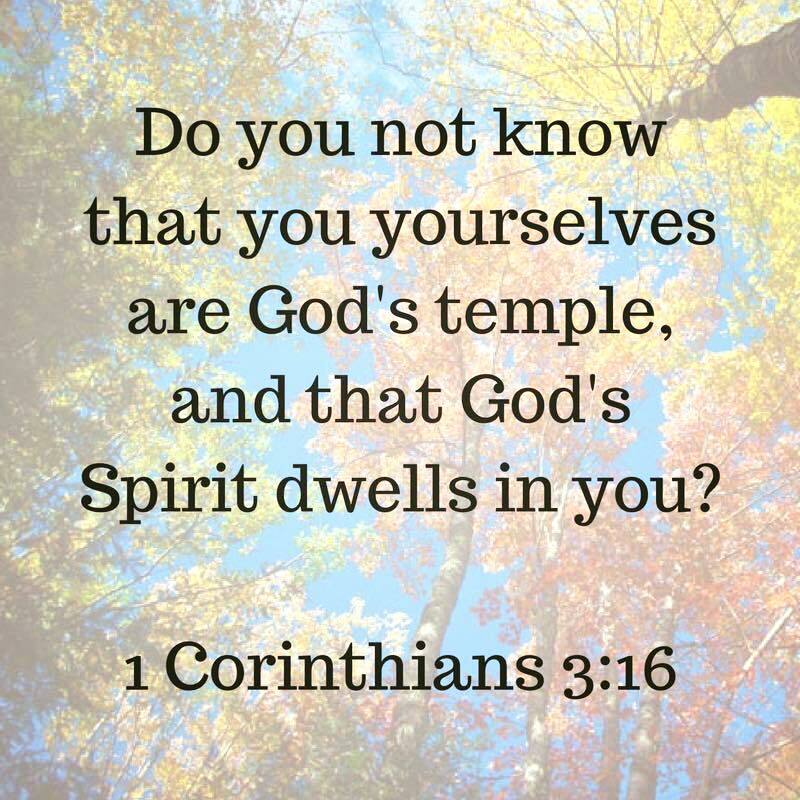 You, however, are controlled not by the flesh, but by the Spirit, if the Spirit of God lives in you. And if anyone does not have the Spirit of Christ, he does not belong to Christ. 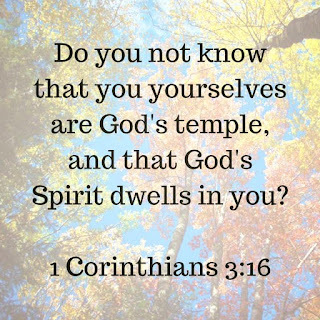 And in Him you too are being built together into a dwelling place for God in His Spirit. I have been crucified with Christ, and I no longer live, but Christ lives in me. 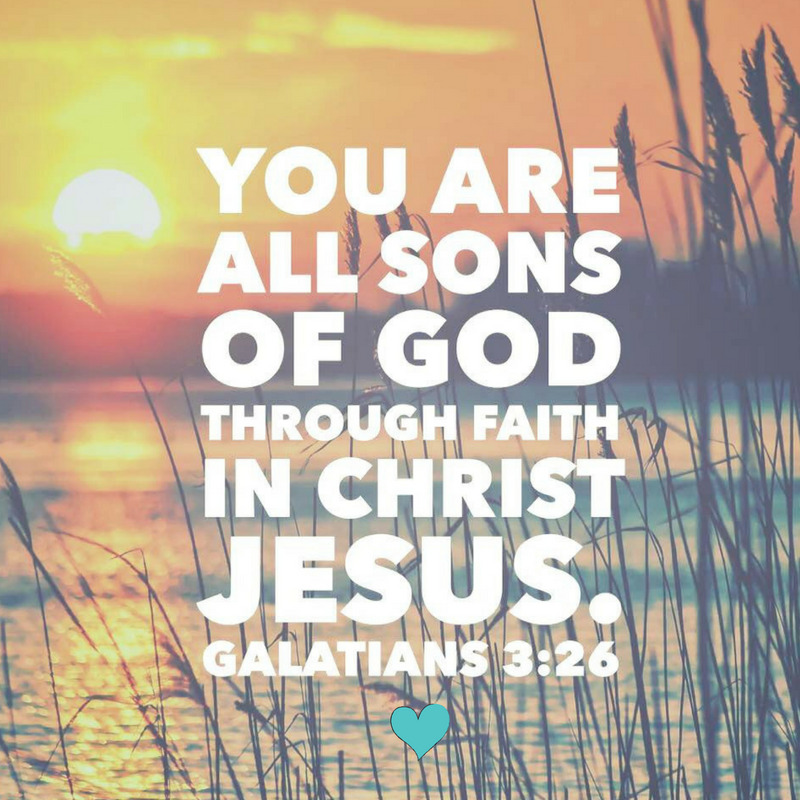 The life I live in the body, I live by faith in the Son of God, who loved me and gave Himself up for me. Approach The Throne of Grace with a sincere, obedient, confident heart...feel the omniscient presence of The Lord. 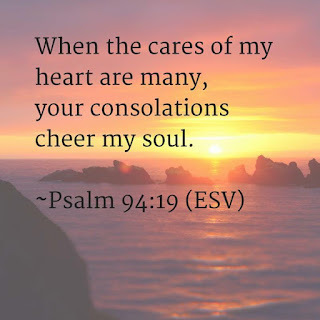 Make your requests known to Him...share the innermost depths of your heart with Him...for He is close to the broken-hearted and hears the cries of His children. Call upon The Lord in truth and transparency...lean into Him...and He will draw near to you and hear His servant's prayers. Yet give attention to your servant's prayer and his plea for mercy, LORD my God. Hear the cry and the prayer that your servant is praying in your presence this day. Let not your hearts be troubled, dear brothers and sisters, for you are never alone. If even for a moment you feel lonely, abandoned or rejected, speak God's truth into your life. 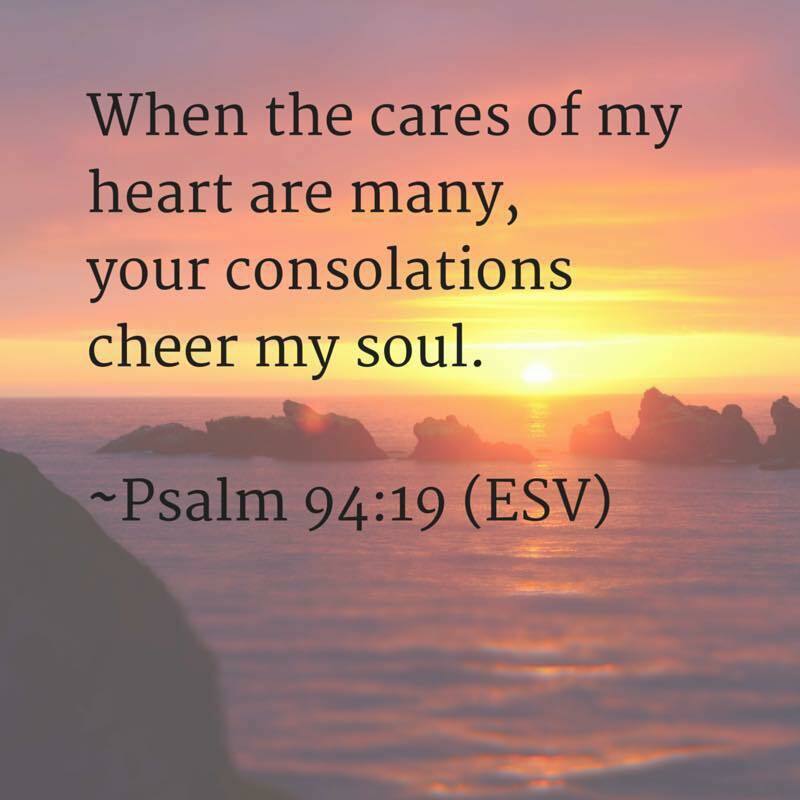 The Sovereign Lord of Hosts and The Creator of ALL things will never leave or forsake you! You are not orphaned; you are not rejected; and you are never alone in Him. You have a family, an eternal inheritance and an identity sealed by the Author of love and life. Through the intercession of Christ and the gift of The Holy Spirit, our Father is with us ALWAYS...in this temporary dwelling place and beyond. This is His eternal promise to His precious children! "And if I go and prepare a place for you, I will come back and take you to be with me that you also may be where I am." because God has said, "Never will I leave you; never will I forsake you." 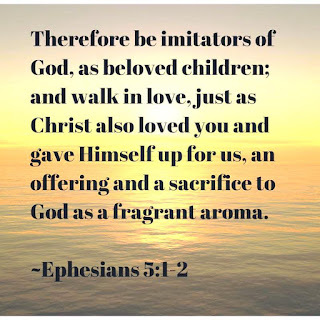 "and surely I am with you always, to the very end of the age"
When we find our identity in Christ, we need to fully embrace God's marvelous grace and let go of the guilt and shame accumulated in our wanderings. In His family, we are able to achieve a whole, healed identity...an enriched life blessed with freedom, peace and joy. With our salvation, we have an opportunity for an abundant and fruitful life, which results from receiving His unconditional love. Let us cling to this picture of His acceptance and forgiveness! Let us rejoice that He deems us worthy! And may we envelope ourselves in His mercy and forgiveness, given freely to those who believe and receive Him as their Lord and Savior. But, we can take heart that God took human form as Jesus Christ and was also rejected, abandoned and persecuted. He suffered in ways far beyond what any of us will ever face or can possibly comprehend. He alone completely knows and understands our pain and suffering. All the sin for all mankind...rested on Him...alone. 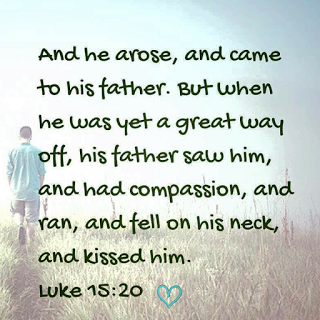 Yet, He loved and sacrificed...showed mercy, grace, forgiveness and compassion regardless of His circumstances. Praise The Lord that He is is alive, seated on The Throne...that He overcame the darkness and made a way for us to walk in His marvelous light. Praise The Lord for His grace lavished so mercifully upon us...that by His precious stripes, we are rescued and restored; the salt of the earth and the lighted city on the hill. Praise The Lord that we are justified through Him and our stain of sin is removed; that we may be sanctified and reconciled unto The Father. Praise The Lord, for we are rescued and redeemed...and one with The Son for Eternity! For, we are fearfully and wonderfully made, by You and for Your purpose and pleasure! Yet, we are thought of, loved and adored by You, in ways we cannot even fathom. Oh, we are truly blessed, for we know that not only do we live, but that we are delightfully designed to spend all eternity with You! You alone are the LORD. You have made the heavens, The heaven of heavens with all their host, The earth and all that is on it, The seas and all that is in them. You give life to all of them And the heavenly host bows down before You. And this is the promise that He Himself made to us: eternal life. Our enemy is formidable, but our God is greater. And, in our humanity, we are without strength except that which is bestowed upon us through The Holy Spirit. Therefore, we must be on alert and perpetually don the whole armor of God, as it is designed for Christians to wear at all times. We must pray without ceasing, be courageous, stand firm in faith...and be strong in the power of The Lord's might. When we allow unholy things to take root in our heart, we grow a deformed and withered tree, which only produces acrid and bitter fruit. This grieves The Holy Spirit and impedes our maturation in Christ. Partnering with Jesus and plucking the weeds of resentment, anger, envy and hostility cultivates a fertile heart that is pliable for The Lord's handiwork within us. 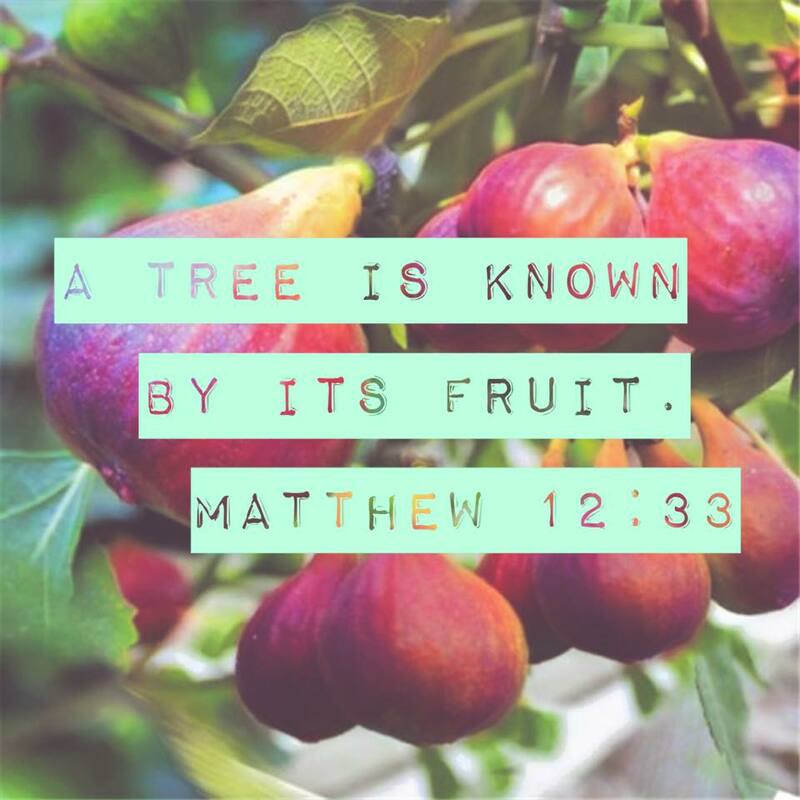 The seed falls on "good soil," and we produce bountiful, succulent fruits of The Spirit. Lord God, create in us a willing and clean heart worthy of Your Seed...producing a good tree with good fruit...as we remain steadfast in You forevermore. Still other seed fell on good soil, where it produced a crop—a hundred, sixty or thirty times what was sown. Whoever has ears, let them hear. Make a tree good and its fruit will be good, or make a tree bad and its fruit will be bad; for a tree is known by its fruit. 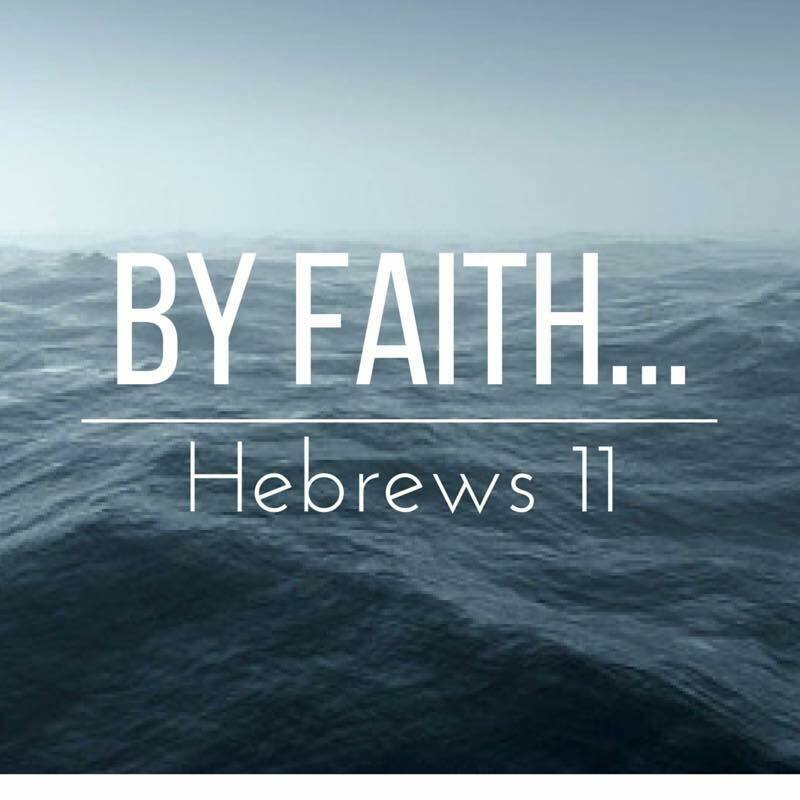 Thank the Lord our faith depends on what HE can do, and not on what we can do. 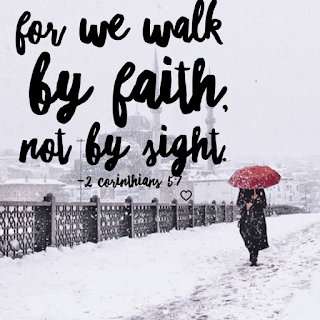 If you're walking by faith with some things in your life right now, don't stop, friends. Don't let go of His outstretched hand. All God asks is that we trust Him. Trust Him with all that we have. Trust Him to fulfill all our needs. And allow HIM to be our All in all. Don’t lose sight of the Truth. God is a good God. His heart is pure. EVERYTHING He does has purpose, and as hard as it is to remember sometimes, everything He does is filled with perfection. He is not leading you to leave you desolate and alone. He won’t allow you to go the wrong way if you are seeking Him and His will for your life. Trust that! Hold on to it! 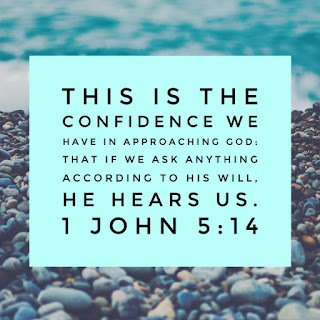 When we remember who He is, we can stand with confidence in what He is doing. We can know that He IS who He says He is and, that He is a GOOD GOOD God. A God who loves you so much, and if you could only see what HE sees, you would understand everything. You would understand His timing. 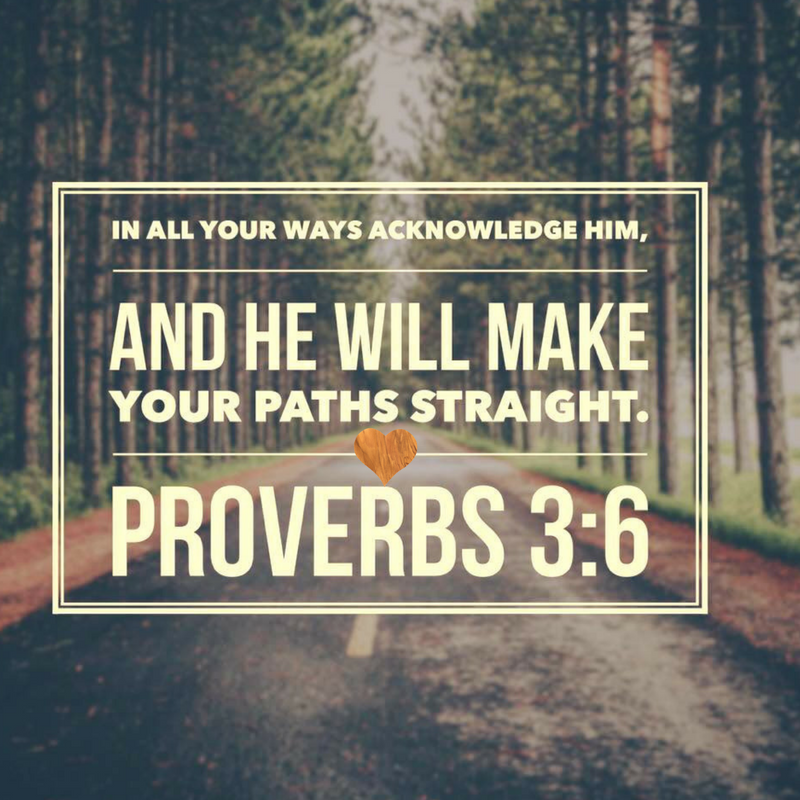 His ways. His words. His direction. Don’t turn from Him when you are feeling lost or confused – turn TO Him, and He will bless you. So rest in knowing that He sees you. He has His hand on you. He hasn’t forgotten about you, and where are you are at is not a surprise to Him. Trust Him. He is working. He is faithful and, He will show you. He will show you He is in control. He will show you His great love. He will do, the impossible. 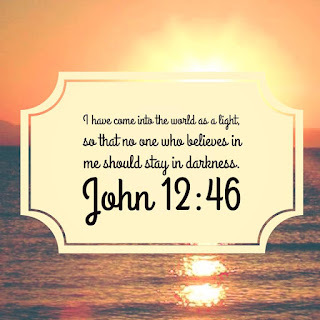 Would it make any difference if you just stopped...got still with God...and considered that your conflict is not against flesh or things seen, but against spiritual wickedness in high places? Would you get on your knees in obedience...align your will with His...and surrender it to The LORD of Hosts, Jehovah-Sabaoth? Why place your faith or trust in something less than the All-seeing, All-knowing, Almighty Creator? 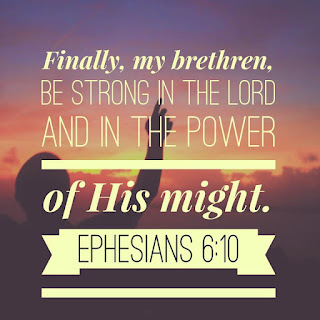 Why take on the battle without Jesus, when there is so much power in His Name alone? Do not fear. Do not be dismayed or discouraged. 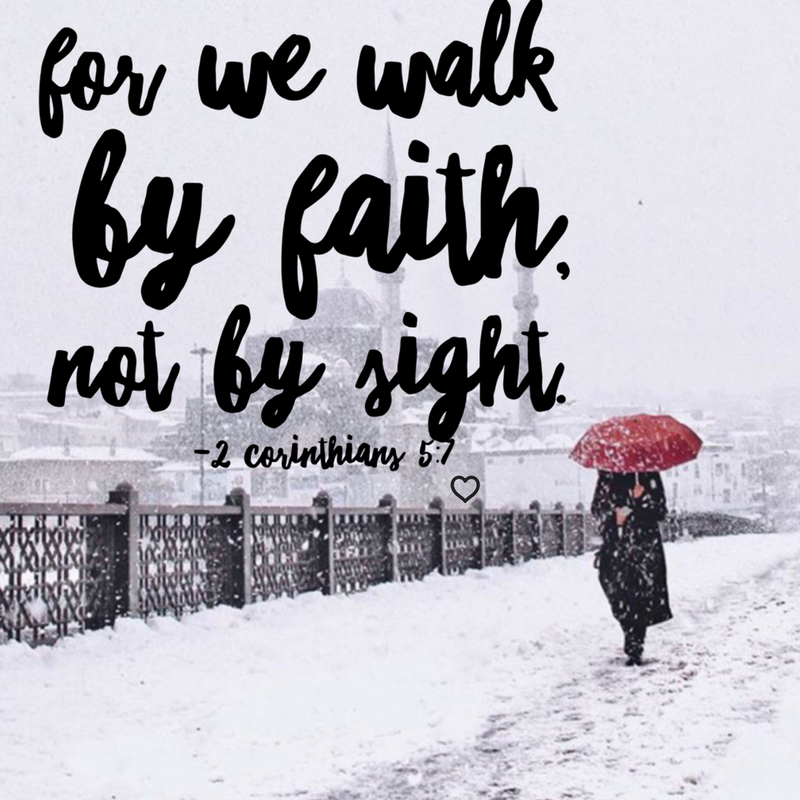 Stand firm in your faith at the feet of Jesus. 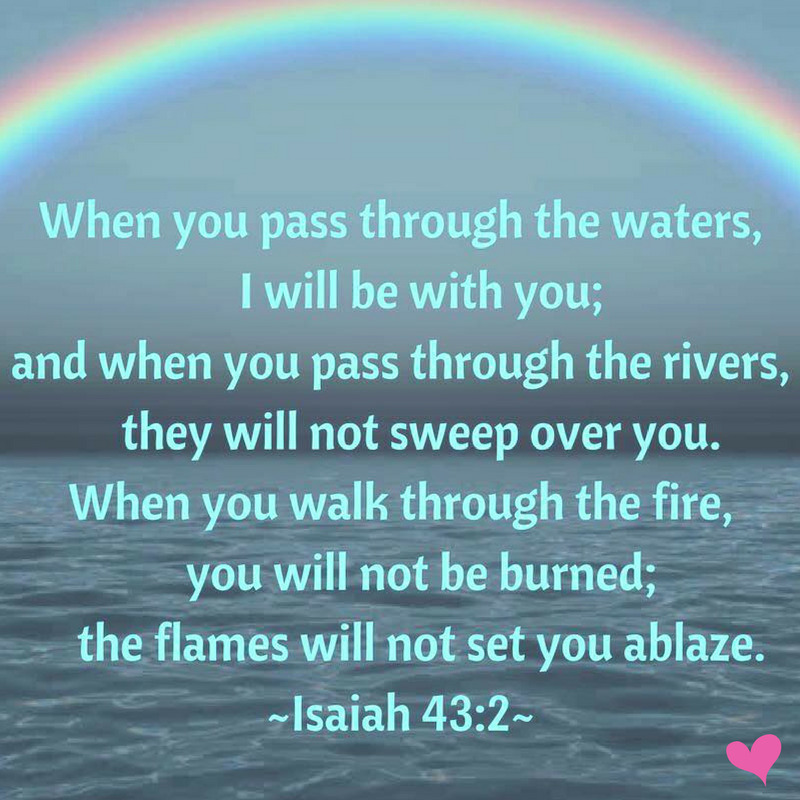 He is always with you and will NEVER leave or forsake you! HE IS RULER OVER ALL principalities and powers seen and not seen....and the battle belongs to Him! Intercessory prayers reflect the very essence of God's own character...rich in unconditional love, grace and mercy. Praying for others enables us to look beyond ourselves and increases our empathy, concern and compassion for others. Think about this...who do you want to spend eternity with? Are there people you care about who do not know Jesus? Are you praying for them...interceding without ceasing? Then, consider this...love and pray for your enemies. This is truly putting on the compassion of Christ and going beyond yourself in interceding for them. 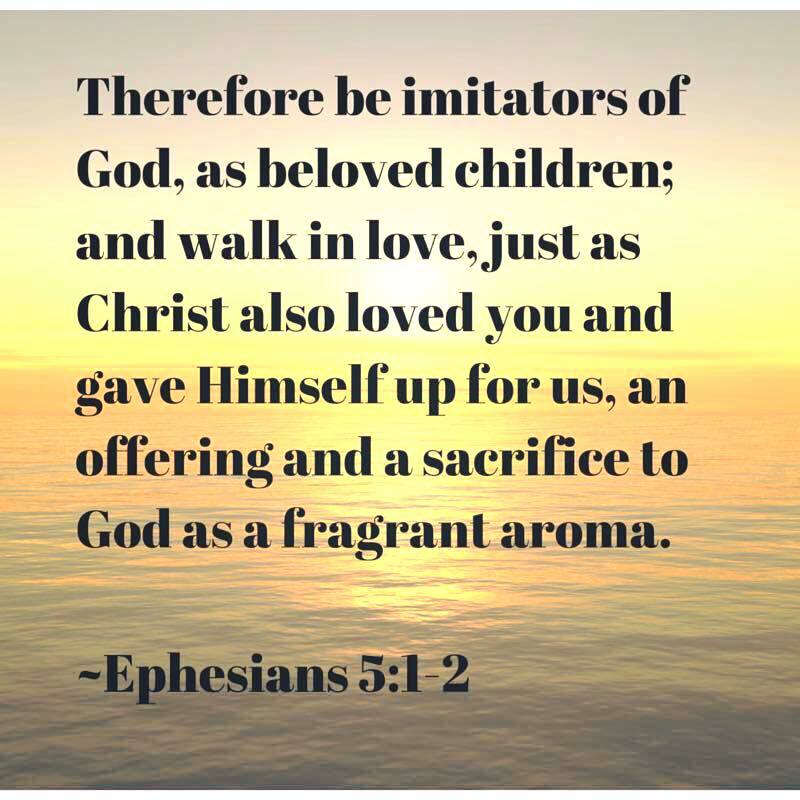 Remember, prayer is sweet smelling aroma that pleases Him (Revelation 5:8). The Father desires our prayers! 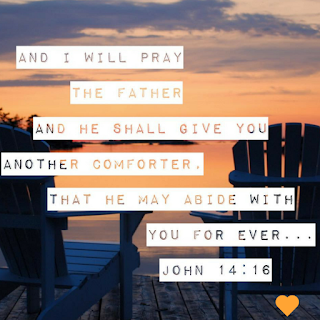 Prayer strengthens our faith and increases our intimacy with Him! In it, we are reflecting and glorifying Jesus! 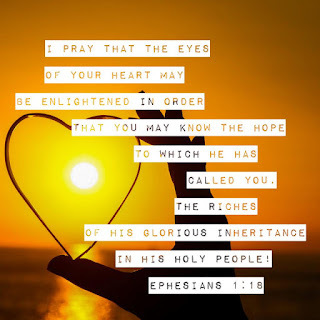 Let us pray with sincere hearts and without ceasing on behalf of God's hurting children...that they will have a heart change and receive Jesus...that they will share in our eternal inheritance...and experience the riches, hope, glory and everlasting grace freely given by our Abba Father! 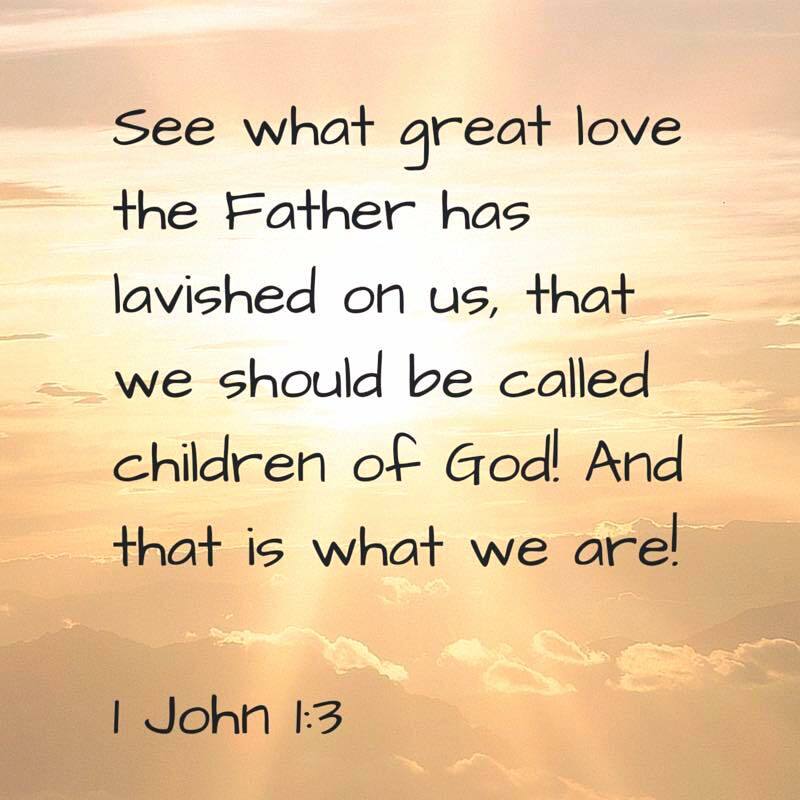 Thank You for loving us completely, as only You can do! He has remembered His covenant forever, The word which He commanded to a thousand generations. 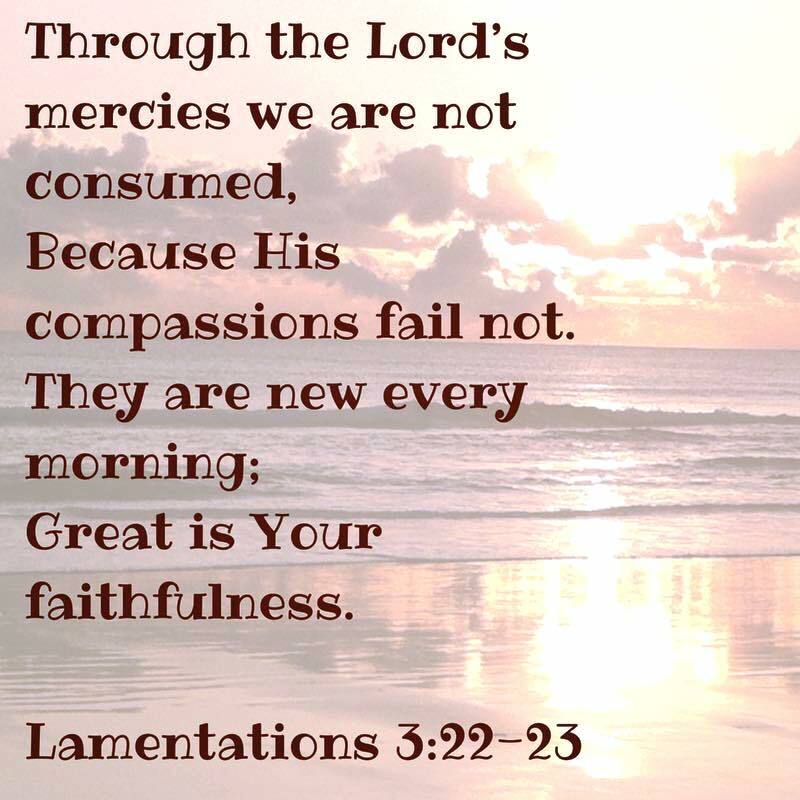 Because Your lovingkindness is better than life, My lips will praise You. It is easy for us to get carried away in our thinking about what we want. We tend to plunge into the waters head first before first consulting with our Lifeguard...you know, the One who walks on water. 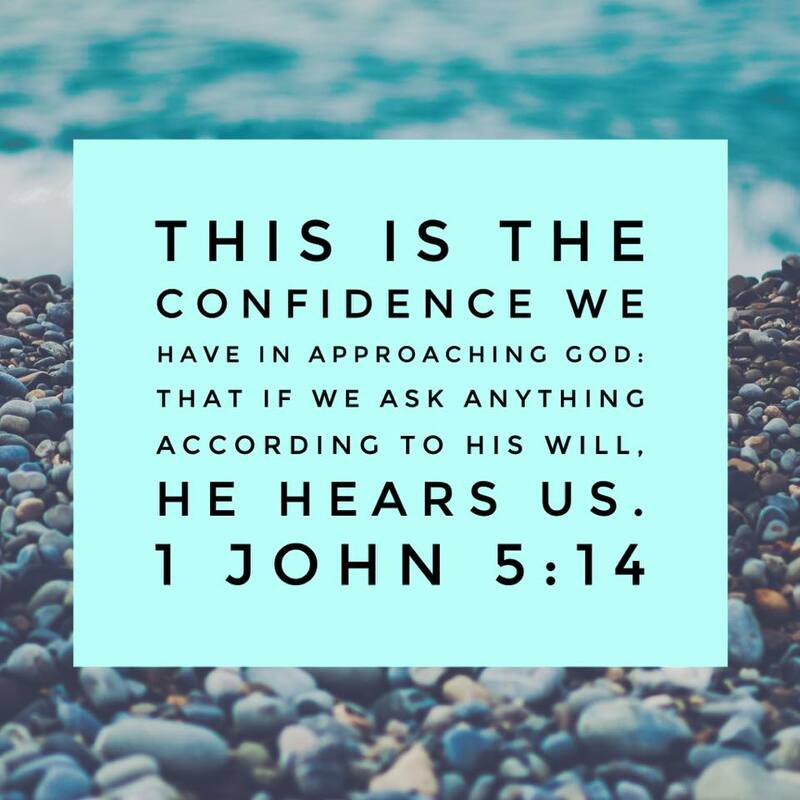 Regardless of our desires and plans, we should bring it all to the full counsel of God; present our petitions and align our emotions with His truth. We must lean into Him for understanding and ask Him to lay on our heart what His will is for our circumstances...and for our life. When we bring Him into our decision-making, we receive the full measure of His promises. 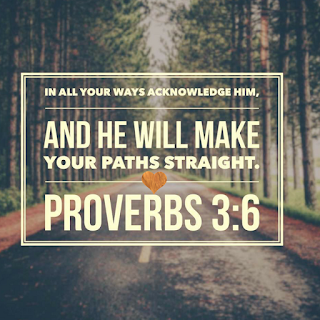 Only our Creator can lead us on our authentic and ordained path, as He is the Architect who designed it! He delights in the innermost desires of our heart and will guide us in the way that is holy, righteous and pleasing unto Him. Praise The Lord that His plans, ways and thoughts are not like our own! He is the eternal resource with every correct answer. He is able to produce results far beyond what we can achieve alone. 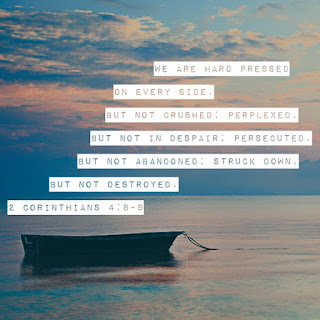 Complete surrender to His way is not always the path of least resistance, but we are assured peace as we progress...and to always receive what is His best for us. "For My thoughts are not your thoughts, Nor are your ways My ways," declares the LORD. And my God will supply all your needs according to His glorious riches in Christ Jesus. Contemplate the complexity and perfection of His divine purpose; how He lovingly and deliberately chose to include you in His plan. Receive the truth in your innermost being that long ago, before Elohim created the heavens and earth, He formed you in His mind. Praise Him for intricately planning your existence, identity and holy inheritance; that He dwelled on Earth in human form, sacrificed Himself, and was risen on the third day...so you could glorify and join Him for eternity! No matter what your circumstances, He never changes. He is true to His promises; His plan is revealed and His purpose will be fulfilled. And He lavishes you with the greatest, most glorious Gift ever unwrapped...The Mystery of Jesus Christ! 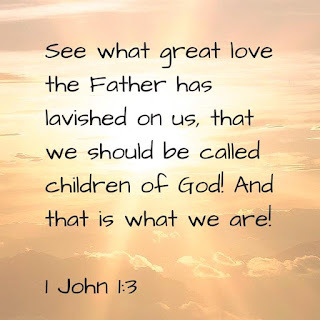 That you may be filled with The Holy Spirit and are called precious child of The Living God! to whom God has chosen to make known among the Gentiles the glorious riches of this mystery, which is Christ in you, the hope of glory. It changes everything when you understand who you truthfully are. Not who the world says you are, but rather who God says you are: thoughtfully and carefully crafted, valued and loved, intended for eternal life in the image of your Maker. 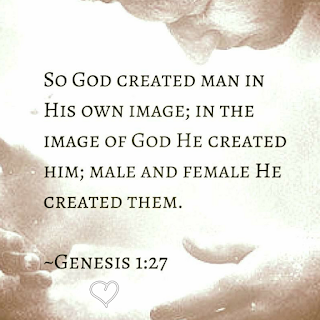 Jesus answered, "Have you not read that from the beginning the Creator 'made them male and female." Indeed, ask now concerning the former days which were before you, since the day that God created man on the earth, and inquire from one end of the heavens to the other. Has anything been done like this great thing, or has anything been heard like it? King, Keeper, Advocate, Author, Guide, Cornerstone, Counselor, Comforter, Creator, Completion, Champion, Consuming Fire, Redeemer, Reconciler, Ruler, Resurrection, Restorer, Rock, Righteousness, Savior, Salvation, Sanctifier, Shepherd, Strength, Song, Healer, Hope, Help, Protector, Peace, Provider, Praise, Purifier, Promise, Preserver, Banner, Beloved, Betrothed, Blessing, Justification, Joy, Judge, Father, Foundation, Fountain, Forgiver, Lord, Living Waters, Life, Lamb, Light, Lamp, Lawgiver, Transformer, Tower, Trusted, Maker, Miracle, Deliverer and Master. Love, Almighty, All-powerful, All-knowing, All-seeing, All-sufficient, Always there, Absolute, Ever-present, Everlasting, Beautiful, Compassionate, Zealous, Jealous for us, Omniscient, Omnipotent, Faithful, Merciful, Pure, Patient, Perfect, Sovereign, Immutable, Holiest of holies, Lord over all, The Alpha and Omega, Star-breather, The Word, The Way, The Truth, The Vine, The Holy Spirit, The Great I Am, Most High, Eternal Life. 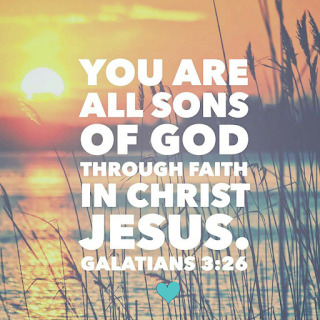 He is of all this and far more...and He calls us His children! He certainly is Worthy and to be praised! When we chose to take Him at His Word, we need to get into The Word...bring God into the situation and align our emotions with His Truth. 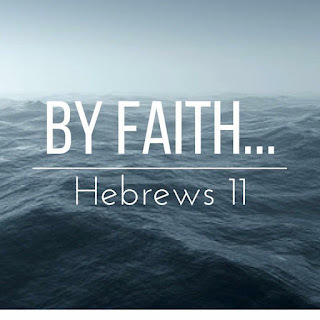 May we have a heart of fearless faith in our Holy Heavenly Father...ears that discern the whisper of The Holy Spirit...and steps ordained and directed by Jesus Christ. May we place our faith in the One we are born of...walk in glorious victory and pursue His unmitigated righteousness. 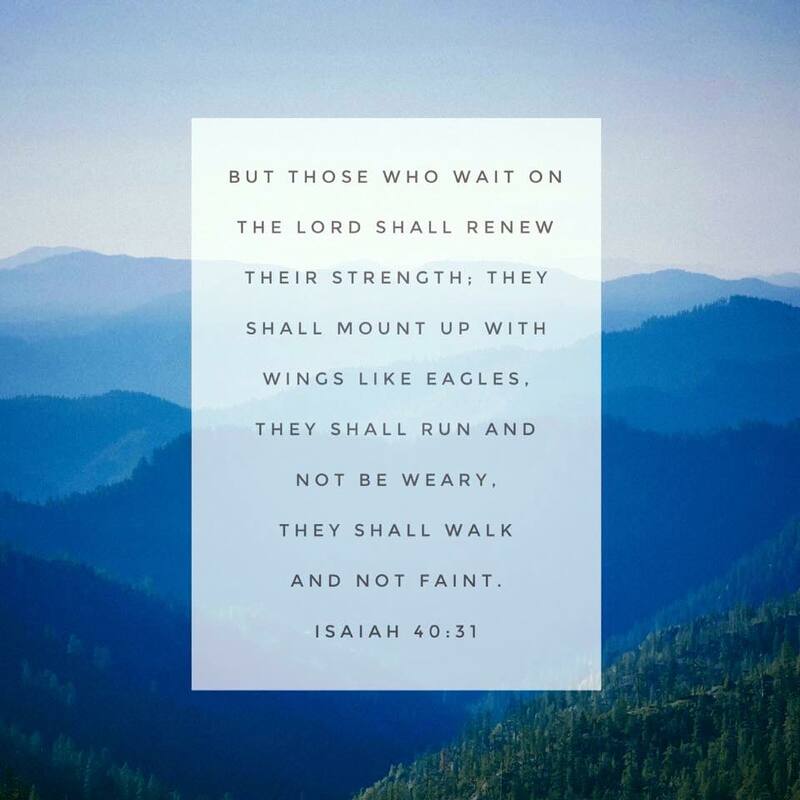 May The Lord fill us with peace and joy as we place our unwavering trust and faith in Him only...as we run a race of endurance through redemption and restoration. And may we overflow with hope through the power of His Holy Spirit, rooted and established in His love. I have chosen the way of faithfulness; I have set my heart on your laws. May we be unmovable in truth and hold tight to the righteousness of The Lord. 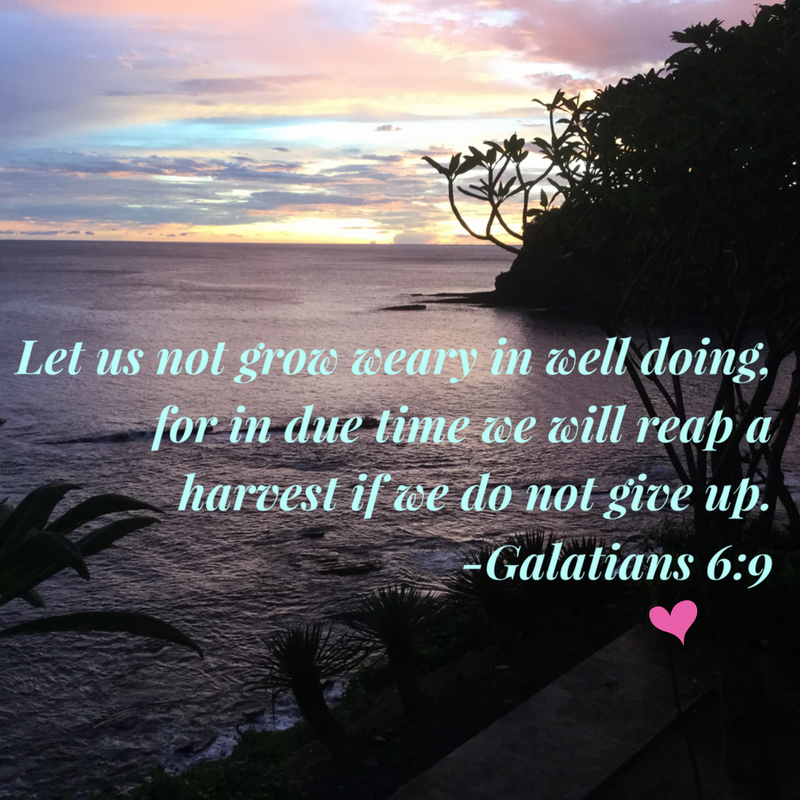 May we sow from The Spirit...drawing our strength from Jesus and never growing weary in our service to The King. And may our Holy Heavenly Father continue to sanctify, restore, transform and sustain us as we prepare for our final destination. Sowing in The Spirit means we most certainly will endure sorrow...but take comfort, brethren, for our tears will yield an everlasting harvest of joy and peace. Let us rise up and not grow weary in our calling...for The Lord our God has sealed for us an eternal glory. For our light and temporary affliction is producing for us an eternal glory that far outweighs our troubles. Truly, truly, I tell you, you will weep and wail while the world rejoices. You will grieve, but your grief will turn to joy. For the Lamb in the center of the throne will be their shepherd. He will lead them to fountains of living water, and God will wipe away every tear from their eyes. May we turn to The Lord when our hearts are heavy...for He alone is our source of strength, joy, peace, healing and everlasting salvation. 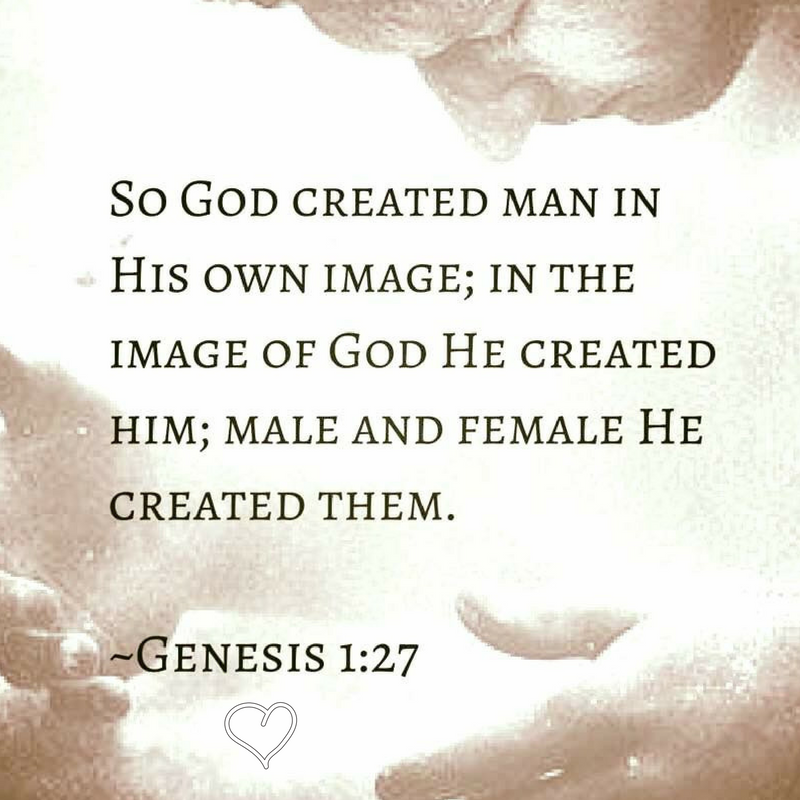 He designed, created and breathed life into us. Only Jesus knows our need and has the capacity to fix and fill us...eternally. Lord, we run to You. 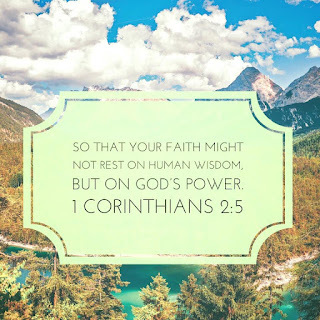 As believers, the treasury of God's Word and the indwelling of The Holy Spirit enables us to endure the valleys of life with unshakeable confidence and peace. 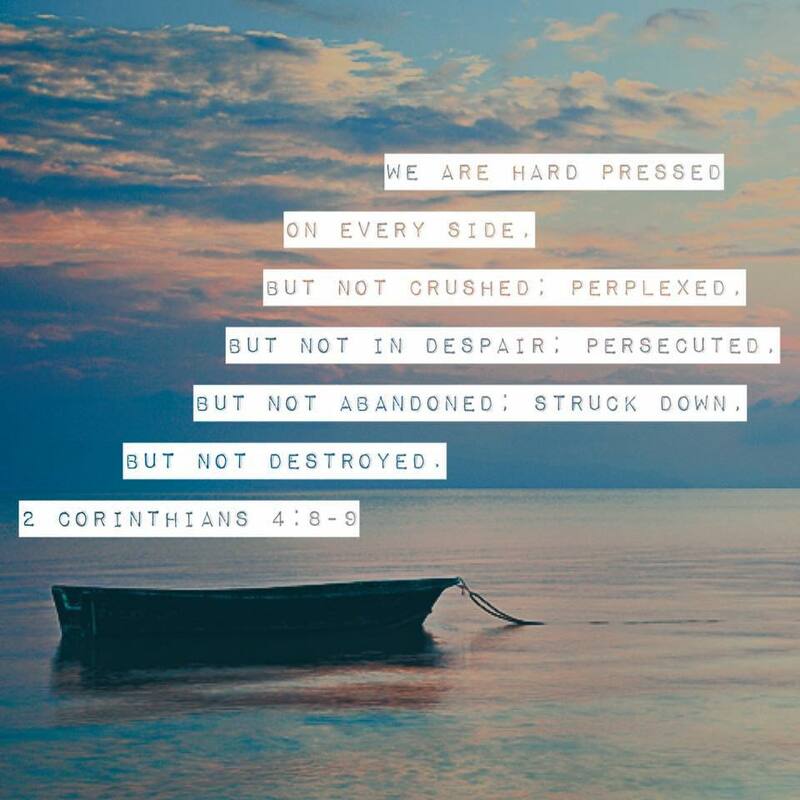 Just as Paul, we know that regardless of the hardships we may face in this world, we will rise up and endure. 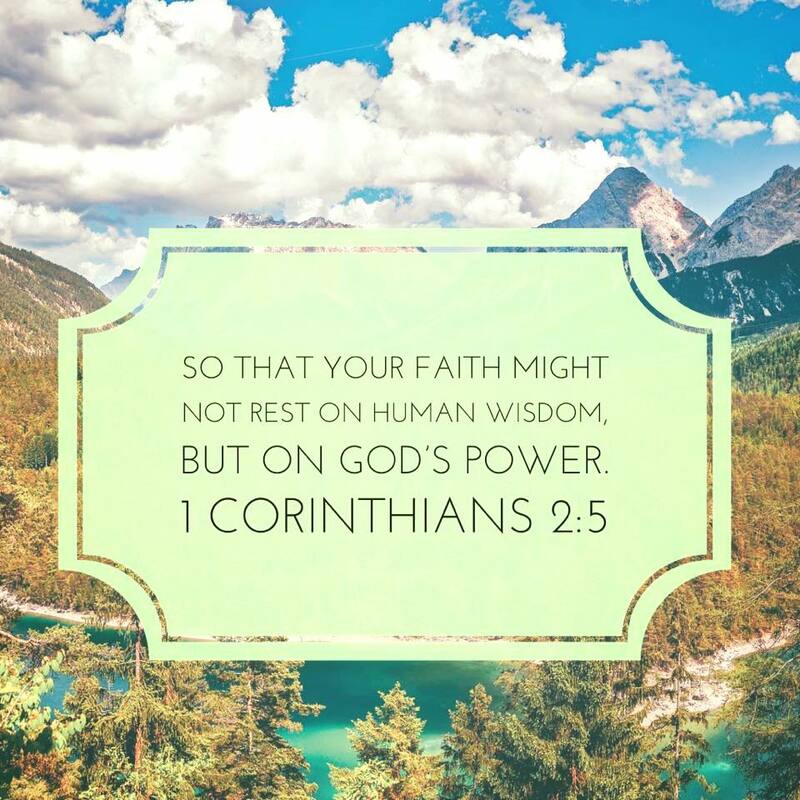 We are sustained by the omniscient source of our faith and the power of His grace. May we rest assured in His embrace...hold fast to His truth and promises, and let them be a ballast to our souls. We will surely survive even our dimmest days. 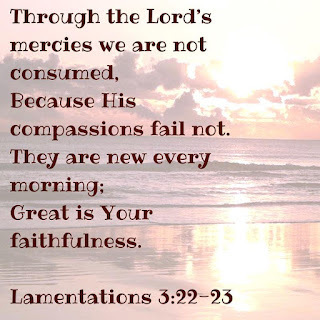 For, by His grace, we are NEVER BROKEN! And after you have suffered for a little while, the God of all grace, who has called you to His eternal glory in Christ, will Himself restore you, secure you, strengthen you, and establish you. 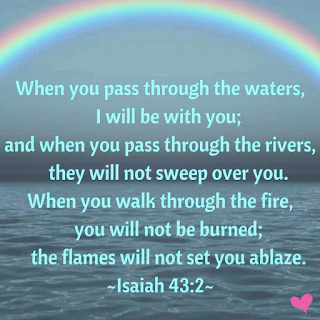 No matter what we face, The Lord is always near to His precious children. He will not fail, forsake or forget us. The Lord our God is faithful, and more than capable...and He is always just a prayer away. May we all have courage and peace in the storm...be led beside still, living waters...and praise our Almighty God for His divine deliverance. 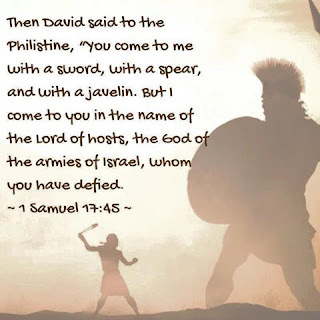 And David said, "The LORD who delivered me from the paw of the lion and from the paw of the bear, He will deliver me from the hand of this Philistine." And Saul said to David, "Go, and may the LORD be with you." If it be so, our God whom we serve is able to deliver us from the furnace of blazing fire; and He will deliver us out of your hand, O king. Even there Your hand will lead me, And Your right hand will lay hold of me.